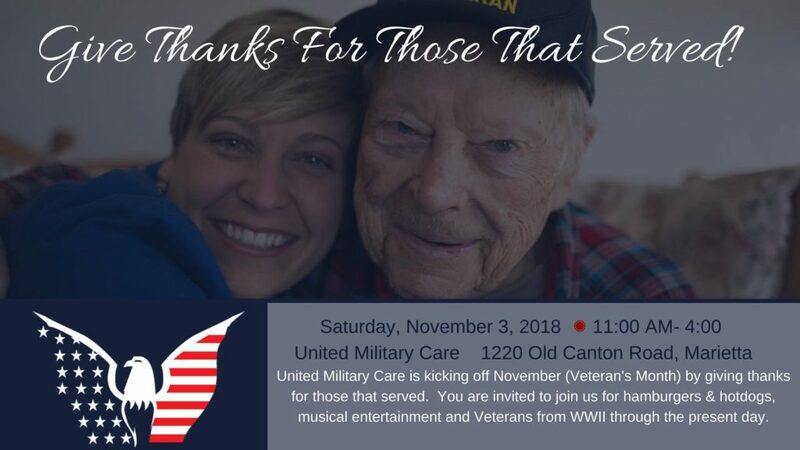 The Tunnel Rats will perform for the United Military Care event, Giving Thanks to Those Who Served, from 11:00am until 1:30pm at the United Military Care facility, 1220 Old Canton Rd, Marietta, Georgia 30062. This is a free event. Donations of new hats, scarves, gloves, and ponchos for homeless Veterans are appreciated. Join us for hamburgers and hotdogs prepared by our very own Vet-Chefs while you listen to great musical entertainment. You have the chance to sit and talk with Veterans from World War II through Present Day and show thanks for everyone that has served! Donations of new hats, scarves, gloves and ponchos will be accepted to help homeless Veterans over the winter months.